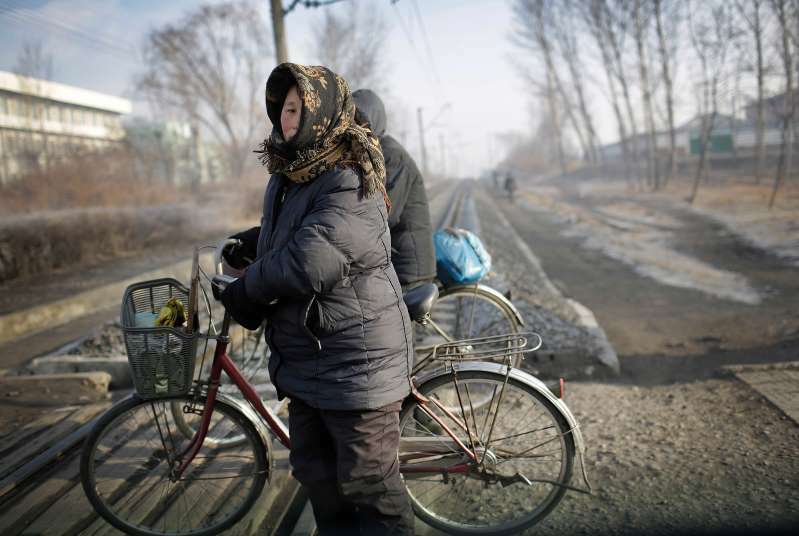 Women crossing a train track in Nampo, North Korea. A Japanese tourist was detained after apparently filming footage of a military facility in the area. North Korea has decided to expel a Japanese man accused of committing a crime while visiting the isolated country on a tourist visa, the country’s state media reported. The man, Tomoyuki Sugimoto, has been held in North Korea for an investigation of “his crime against the law,” the Korean Central News Agency said in a brief dispatch late Sunday. Japan’s Kyodo News agency reported earlier that a Japanese videographer on a group tour appeared to have been detained in North Korea after shooting footage of a military facility while visiting Nampo, a port city south of Pyongyang, the North Korean capital. Japan and North Korea have been in talks on and off over Tokyo’s demand that the North return Japanese citizens said to have been kidnapped by the North during the 1970s and 1980s. The so-called abductees issue remains the thorniest issue dividing the neighboring countries. North Korea has a history of holding foreigners accused of committing vague “crimes against the state,” and releasing them only after high-ranking officials or dignitaries visit Pyongyang to seek their freedom. North Korea released three Korean-Americans, including one sentenced to 10 years of hard labor for an espionage conviction, when Secretary of State Mike Pompeo visited Pyongyang in May. Early this month, it released a South Korean citizen who had been detained in the North since last month. The releases came amid a political thaw on the Korean Peninsula that began early this year when the North’s leader, Kim Jong-un, began negotiations with South Korea and the United States on improving ties and denuclearizing the peninsula.